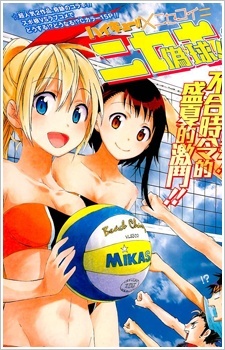 Crossover in Weekly Shonen JUMP issue 6/7 for Nisekoi and High Kyuu!! A beach volleyball match between the two groups for high stakes, who will win? !